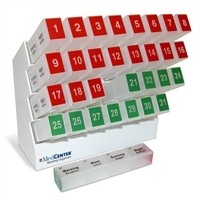 A full line of Extra Large (XL) Medication Organizers from MedCenter. 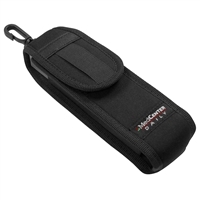 Each of our XL Organizers uses our 6" long XL pill box that holds even the largest daily doses of medication. 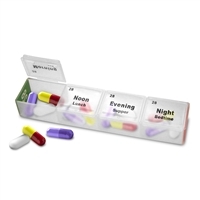 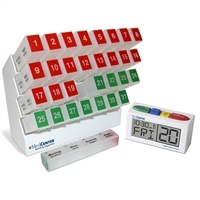 Extra Large Pill Organizers in daily travel units, weekly and Monthly.